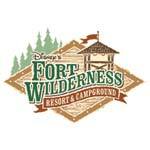 The Cabins at Disney's Fort Wilderness Resort provide an idyllic setting for a family vacation. 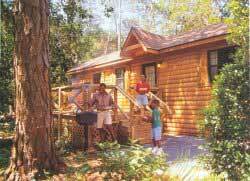 Nestled on 750 wooded acres of lush pine and cypress trees, the cabins provide all the comforts of home wrapped in a rustic, American Frontier theme. Time seems to slow down while you wander the quiet trails, and roaming ducks, deer and rabbits add to the sense that you are far away from the bustle of modern civilization.